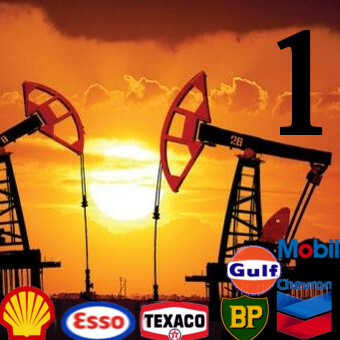 Download Hour1 Download Hour2 This week, a look at the stuff of empire, that is, the resource of preeminent importance to understanding geopolitics in the 21st century - petroleum. We adapt a documentary on The Seven Sisters, supplemented with the research of Russ Baker. This week, we adapt a documentary from Aljazeera, The Secrets of The Seven Sisters, about the oil industry. Beginning with the little known meeting at Achnacarry Castle on 17 September 1928, this traces the history of Big Oil, and we trace some of the connections to wars, threats of wars and skullduggery by intelligence services. We supplement this with a brief reading from Russ Baker's highly recommended Family_Of_Secrets. Several recurring themes present themselves - such as the ruthlessness of measures taken to try to hang on to inherited privilege, whether this attempted by individual assassinations, by fomenting civil unrest or by outright military invasion. As perhaps the greatest defenders of inherited privilege, the US government, and the CIA figure prominently. As well as of course the Persian Gulf, we hear about the impact of the Seven Sisters on Africa - from Nigeria, Gabon, Algeria and Libya to Sudan - and the maneuvering for control of central Asia petroleum. This page was last modified on 9 January 2016, at 12:01.